As an AmeriCorps National Preparedness & Response Corps (NPRC) member for the American Red Cross Southeastern Pennsylvania, we live in two different worlds—one of AmeriCorps and one of Red Cross. In addition to our daily duties here at the Red Cross (for whatever rotation we may be in), we are expected to fulfill the goals of an AmeriCorps member. These responsibilities emphasize two specific values that are at the heart of the AmeriCorps program: membership and service. To ensure our involvement in these principles, we spend a day devoted to these core values, as we alternate between a Membership and a Service Day every month. While Membership Day is devoted to spending time with our fellow AmeriCorps NPRC members, Service Day is dedicated to give back to our community. These days allow us to step out of our current rotation and spend time together, strengthening our membership by participating in an activity we enjoy or by giving back to the community through service. 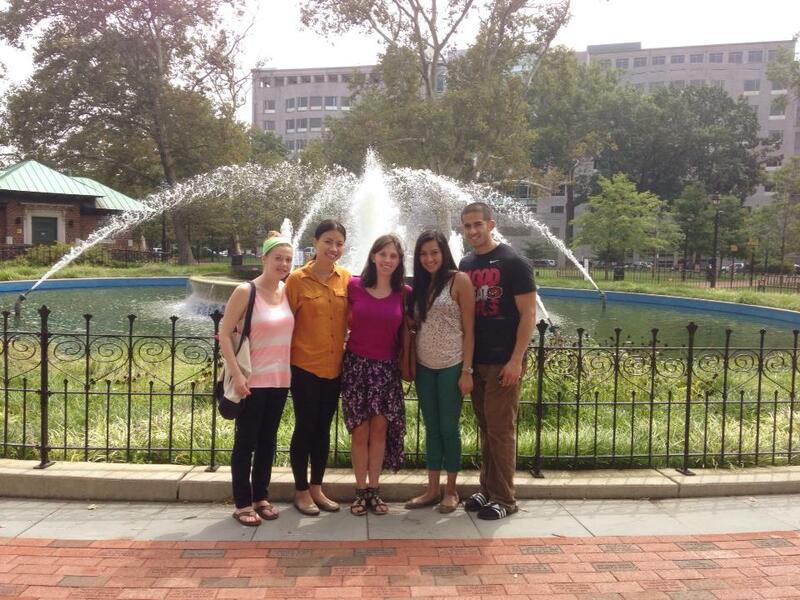 For our August Membership Day, we decided to explore Philadelphia, visiting Franklin Square and Chinatown. Franklin Square, one of Philadelphia’s five original squares designed by William Penn in the 17th century, consists of a gorgeous fountain, carousal, and a mini-golf course. As a group we decided to enjoy a game of mini-golf, a historic Philadelphia themed 18-hole course. We then walked over to Chinatown, indulging in the culture and food. Membership Day was a perfect opportunity for us to spend time together, for we are often busy with our own rotations and aren’t able to interact with each other. In September, we decided to dedicate a day to service. We spent this day at Bartram’s Gardens located right along the Schuylkill River. Originally the home of botanist John Bartram in the 18th century, this beautiful land consists of gardens, a farm, and an orchard right outside of the city. During this service day, we participated in a monthly volunteer event dedicated to maintain and beautify the orchard. Spending a gorgeous day along the river getting our hands dirty in the soil, we were excited to give back to these historic gardens. Stepping out of our role at the Red Cross, my fellow AmeriCorps members and I were able to not only spend time together, but also give back to our community through service. These experiences are an amazing opportunity for us to get in touch with core AmeriCorps values and we are excited to plan future Membership and Service Days!